Best Western International is launching a stylish new hotel concept designed to meet growing demand for new hotel offerings in urban markets. The announcement, made today during the brand’s 2014 North American Convention, comes as Best Western continues to see historic growth in the brand’s North American and global development pipeline. 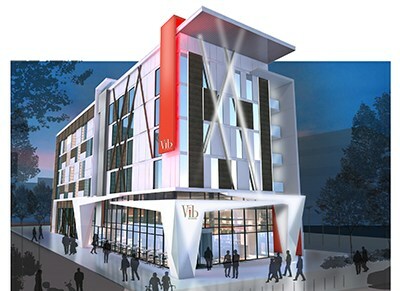 This new offering, Vīb (pronounced Vibe), is a stylish and technology-centric hotel concept created to meet the needs of today’s connected traveler. Vīb, which is short for “Vibrant,” is a hotel prototype designed for urban markets. Vīb’s high-density concept will be cost-effective to build and operate, making it an attractive option for owners and developers. The boutique Vīb concept features vibrant and modern design with a focus on convenience, technology and social engagement. 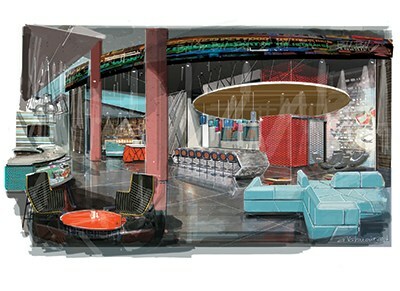 Vīb hotels will have large, interactive lobbies that incorporate the local flavor of their individual markets, as well as comfortable and chic guest rooms. Guests will find ample USB and power ports for electronics, a media wall with custom content in the lobby, smart TVs in the rooms to stream on-demand content, and LED mood lighting throughout the hotel. Vīb will be a global offering, targeted at urban markets around the world. Best Western already has nearly 400 properties in the brand’s global development pipeline, with areas of focus being Central and South America, Asia, and the Middle East, and the new offering is expected to increase penetration in high-demand markets.